A classic style bidet mixer made in Italy from solid brass that offers both functionality and style. 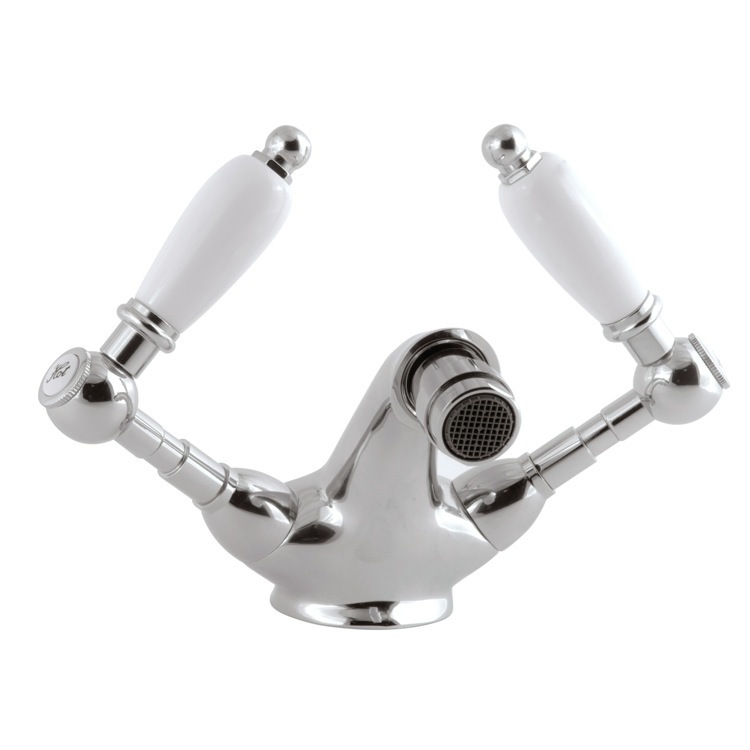 Included in the Remer Retro Series, this bidet mixer comes in a one-hole deck mount piece for easy installation. Two glossy white handlebars extend diagonally from the base of this faucet and rise just over the ceramic head valve, giving this piece a contemporary looking appearance that will satisfy any of your bathroom needs.